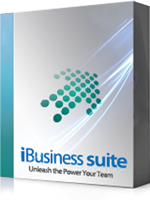 iBusiness suite Manufacturing ERP is a board range solution for end to end functionality of organization. iBusiness suite ERP gives a real-time, accurate view of manufacturing process, so it helps to proactively manage the operations of your organization. 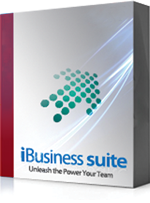 iBusiness suite Manufacturing ERP is a board range solution for end to end functionality of organization. iBusiness suite ERP gives a real-time, accurate view of the manufacturing process, so it helps to proactively manage the operations of your organization. Economic fluctuations and employee wages, product cost make complexities for manufacturers every day. Reduce the costs and increase profitability is not an easy task. Our iBusiness suite that enables you to plan, schedule, execute and monitor the entire manufacturing business. iBusiness suite ERP helps to improve the overall performance of the organization. The integrated offering supports an entire range of industrial processes and operations including procurement, manufacturing, inventory management, supply chain planning, sales & marketing, asset maintenance, finance, human capital management & payroll, and business analytics.